Here we are at the 18th Part of this list. Once again, I ran out of time yesterday before I could post a further installment of this series, so I’ve included more songs than usual in this one. To browse through the other songs that have appeared on the list previously, click HERE. I assume it comes as no shock that I’m adding a song from The Xun Protectorate to the list. 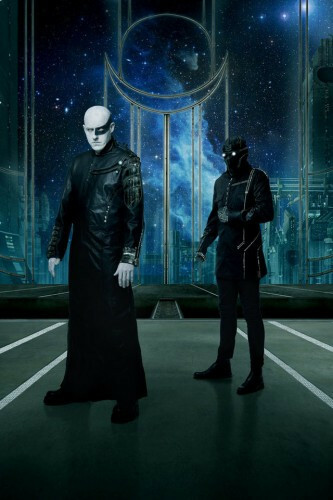 We published not one but two laudatory reviews of the album, along with an interview of Khonsu’s mastermind S. Gronbech. Everyone at our site loved the record. On the other hand, there may be more dissension in the ranks over the song I picked for our list. 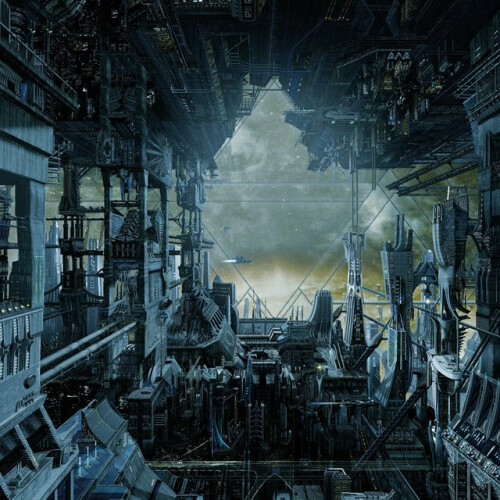 “The Observatory” was a leading contender, but I chose “A Jhator Ascension”, perhaps because it was just that bit more extreme and aggressive, though it too includes the dramatic, expressive clean vocals of Rune Folgerø of Manes/Atrox fame. To quote from Andy Synn’s review, the song “former marries the nuclear intensity of Keep of Kalessin at their most blistering with the relentless, cyberdyne grooves of Thorns to thrilling effect”. 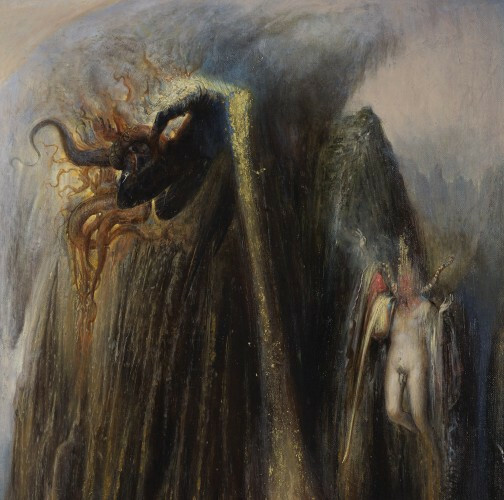 The cover of Cursus Impasse: The Pendlomic Vows, the 2016 album by the idiosyncratic Howls of Ebb, was created by the marvelous Italian artist Agostino Arrivabene (originally under the title “Theoin II”), and it remains one of my favorite album covers of the year. The music is equally fascinating and distressing. “Cabals of Molder” is the track I’m adding to our list. It pulses with arcane energy and bursts of wild echoing howls and growled incantations. Guitar solos rise up in shrieking exclamations of derangement. The pacing turns from a thundering gallop to a disorienting stomp-and-stagger laced with discordant notes and alien moans and screams. I found the song transfixing from the first time I head it, and in its own strange way, very catchy. First, there is the creative force behind Black Hole Generator, Vulture Industries’ main man and long-time Taake and Helheim producer Bjørnar E. Nilsen. 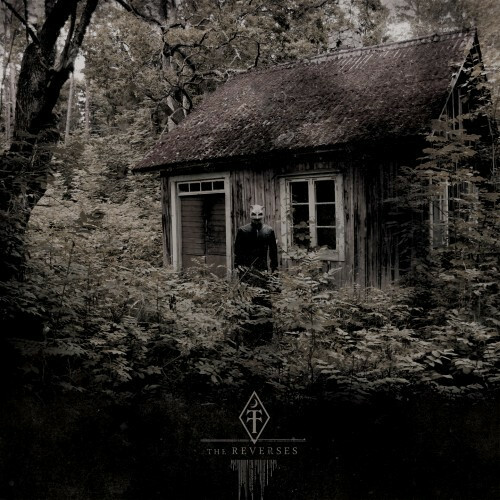 And then there is guitarist Arve Isdal (Ice Dale) of Enslaved and Audrey Horne, plus Gjermund Fredheim (Taake/Orkan) contributing lead guitars on three tracks, as well as additional guitars by Dag Terje Andersen. The distinctive Romanian artist and musician Costin Chioreanu made the cover art. It happens that we had the pleasure of premiering the song that I’m now adding to our list. “A Requiem for Terra” begins as a crusher and builds to a massively headbangable crescendo. You listen, and you can imagine a desperate soul being pushed over the brink of madness — and thereby finding freedom. When the intensity eventually diminishes, the melody becomes even more seductive, the magnetic notes continuing to ring out across your skull long after the song reaches its eerie and unsettling conclusion. Totally should have gone with “A Dream of Earth”. 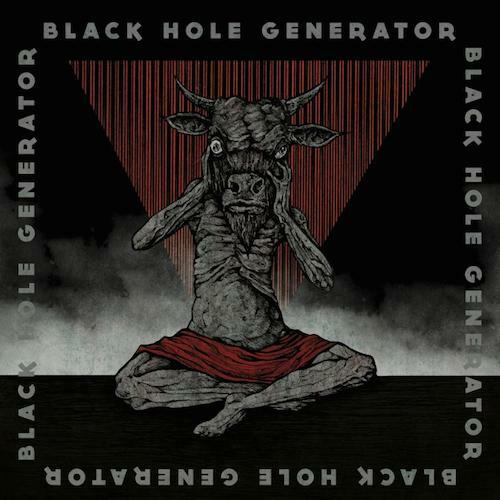 Also, and I am ashamed to admit this, this is actually the first time I’m listening to that Black Hole Generator and good gravy, it is GOOOOOOOD. Thanks so much for your input, though it might have been more useful if you had shared your ideas BEFORE I started putting the list together. Just a thought. Also, yes, Black Hole Generator is GOOOOOOOOOD.